Deal Categories: Pre Workout Products and Vitamin Shoppe Coupons.Stores: Vitamin shoppe. YES INDEED! Combination of BOGO50 on all BANG + 20% OFF $75 and free shipping! Follow instructions below to score this deal! 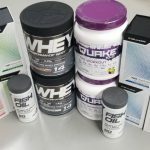 Deal Categories: Protein Powder, Pre Workout Products, Mass Gainers Supplements, BCAA, and Fat Burners and Energy.Stores: NutraPlanet. 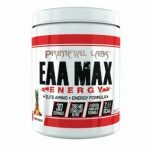 Buy 1 Primeval Labs EAA Max Energy pre workout – 30 Servings , Get one FREE! for $39.99 after coupon. This is the best total price we saw by at least $24.